The entry of train onto the block section is jointly controlled by the entry and exit points of the block section. The driver is authorized to proceed into block section by the signal controlling the entry into the section. 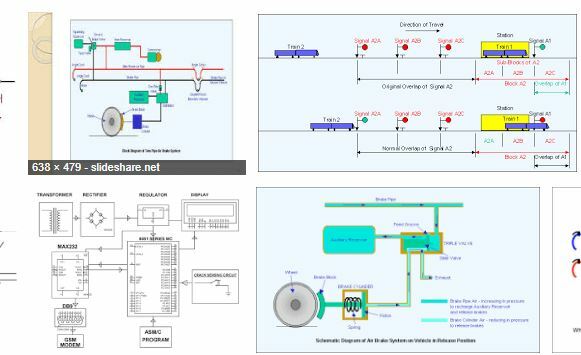 This working could be the ABSOLUTE BLOCK system stem or AUTOMATIC BLOCK system. b) On double lines, such line clear shall not be given unless the line is clear not only upto the first stop signal at the block station at which such line clear is given but also for an adequate distance beyond it . d) The whole of the last preceding train has arrived complete; and all necessary signals have been put back to „ON‟ behind the said train. On request from sending station (station-B) station master at station-A will turn the block handle to „Line clear‟ (L-C) position if he is ready to receive the train. LC contact of the block handle energizes LCR. Line clear indication (LCKE appears). The first stop signal (home) is at „ON‟ (RECR↑). 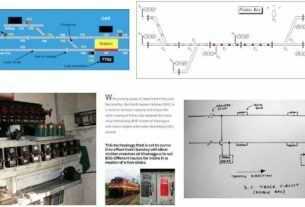 The relay GNSR will pick up & switches on the line circuit BPR at station B to pick up. BPR is a polarized relay, thus is gets attracted to line clear side & Bottom Galvo at receiving station A & top Galvo needle indicator at station B turn to „line clear‟ position. 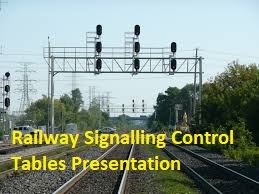 LCPR is energized through prolarized relay contact on LC side provided the last stop signal displays „ON‟ aspect. Advance starter can then be cleared for dispatch of train duly proving that the block section including over lap is clear (VPR-UP). When the train crosses advancer starter, TPIR picks up registering train entering block section. This is accompanied with audio-visual alarm at the sending station. The buzzer can be stopped by pressing the „ACK‟ button. Information is then passed on to station A who will turn the block handle to „TOL‟ position. This sends both the galvos to change to TOL position. SR at station B gets energized & remains in that state. 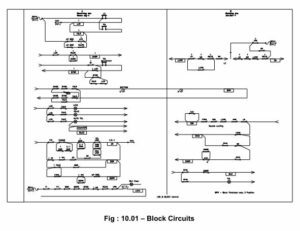 At the receiving station A, when the home signal 1 is cleared, ZR picks-With the sequential proving of ITP & ITPI, BSR & BSPR pick up. Now when block section is clear on complete arrival block clear indication is given. & the block handle can be brought to „line closed‟ position thereby, completing the block operation. In the event of failure to turn the handle to TOL upon train entering section, auto TOL feature has been incorporated. 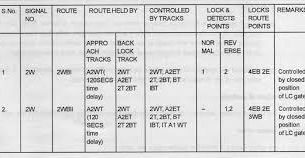 As a result TOLR will be picked up when train arrives, ASM gets auto-TOL buzzer / indication. Station master at station A will be forced to turn the handle to TOL. Then through special contact of TOL, BTSR relay picks up. This will in-turn energise the lock and instrument can be turned to line clear from TOL. This operation is recorded by an electronic counter in addition to audio-visual alarm. 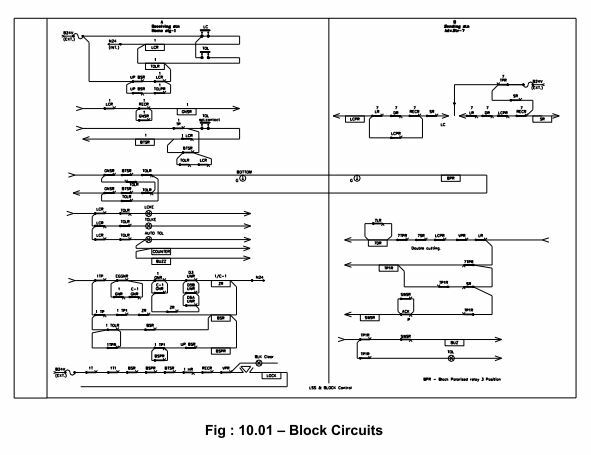 Detailed circuit of the block working is shown below.